At Hebrew College, you can delve into Jewish history and thought; deepen your understanding of Jewish ethics and values; and master the Hebrew language. You can study with other adult learners or alongside rabbinical, cantorial, and master’s students. And regardless of your Jewish educational background, location, or life stage, you’ll find a class that works for you! 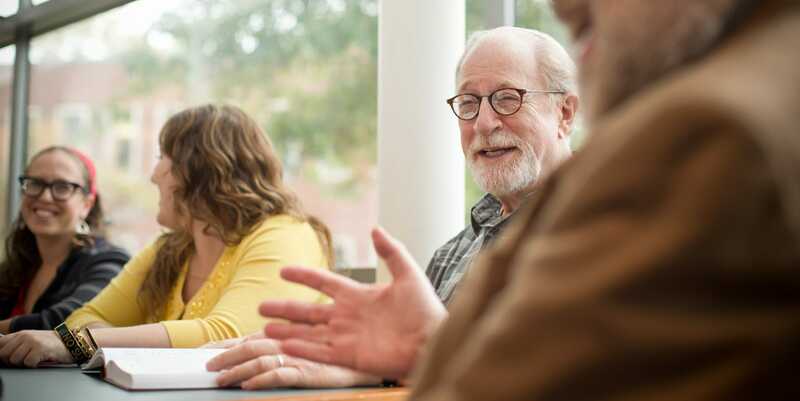 You can choose between graduate-level courses and informal conversation groups; between studying on campus, in your Boston-area neighborhood, and in your living room; and between courses that last ten weeks or two years. And if we don’t have a class that suits your interests or schedule, find a few friends and we can create one for you. In a learning environment, we are encouraged not to dismiss but to question, to grapple, to engage. This is the reward that Jewish learning gives us, a tool to move forward in the world with a discerning eye and a willingness to delve deeper into challenges that may seem insurmountable. 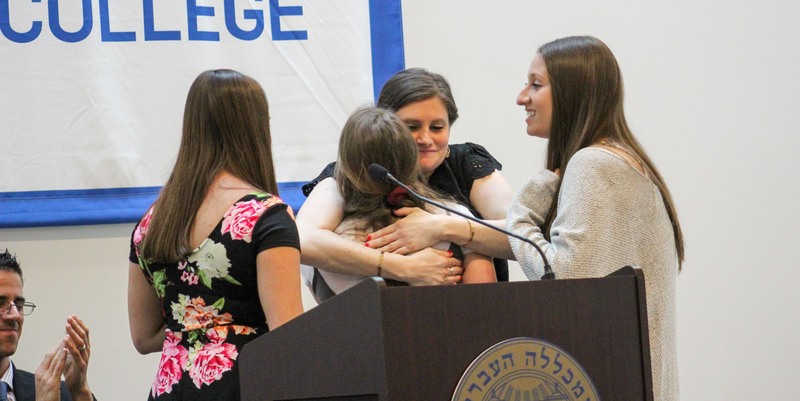 Hebrew College offers a multifaceted and comprehensive Hebrew Language Program, from beginner through advanced levels, on campus and online. You can also enroll in our Ulpan to learn conversational Hebrew through the lens of Israeli culture. Modern Hebrew: An online program for beginning to intermediate Hebrew students who want to improve their vocabulary and grammar skills and develop their understanding and speaking ability. 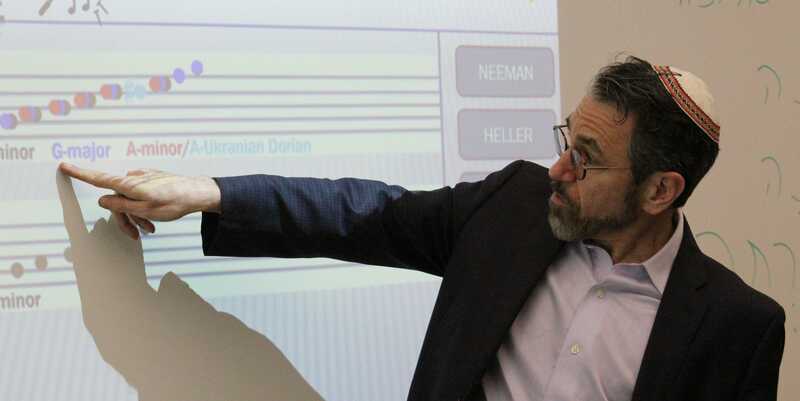 Graduate Hebrew: On-campus biblical and rabbinical Hebrew for individuals preparing for advanced textual study that requires a strong background in classical Hebrew and grammar. Take courses on the religious thought and practices of Judaism, Christianity, and Islam. Journey through Jewish history; delve into core texts from biblical times through the present; discuss the debates within Israeli politics today; or build a foundation of knowledge about Jewish tradition through our community Rabbinical School courses, as well as our CJP-sponsored programs: Eser, Me’ah Classic, Me’ah Select, and Open Circle Jewish Learning. Enroll in a Rabbinical School class; Journey through Jewish texts and ideas from biblical times through the present over 100 hours with Me’ah Classic; delve into a specific idea through Me’ah Select or Me’ah Online; explore traditional texts or Jewish rituals, practices and values in a living room through Open Circle Jewish Learning; or analyze texts with young adult peers through Eser. Join a group of fellow parents to discuss topics that matter to you as a parent, explore rituals that can enhance your family life, and find community and connection through Parenting Through a Jewish Lens; or focus on specific rituals and practices like those surrounding Shabbat, death and grief, the start of a new month, or the menstrual cycle through Open Circle Jewish Learning. 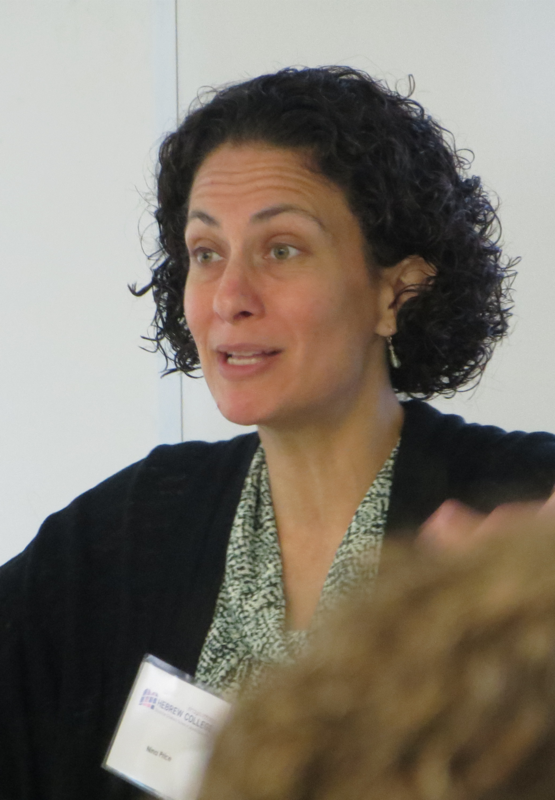 Jewish Education Community Courses: Study with master’s students in a vibrant online community. Join a vibrant community of fellow teens or ‘tweens to study Judaism and Hebrew studies through Prozdor (High School) and Makor (Middle School); or find a supportive community of parents to explore compelling Jewish texts and traditions and share stories and ideas about raising young children, preteens and teenagers through Parenting Through a Jewish Lens. Explore meditation, mysticism, and mussar, the Jewish spiritual discipline that helps us nurture our soul and spirit, and develop a way of living mindfully through our Open Circle Jewish Learning mindfulness classes. 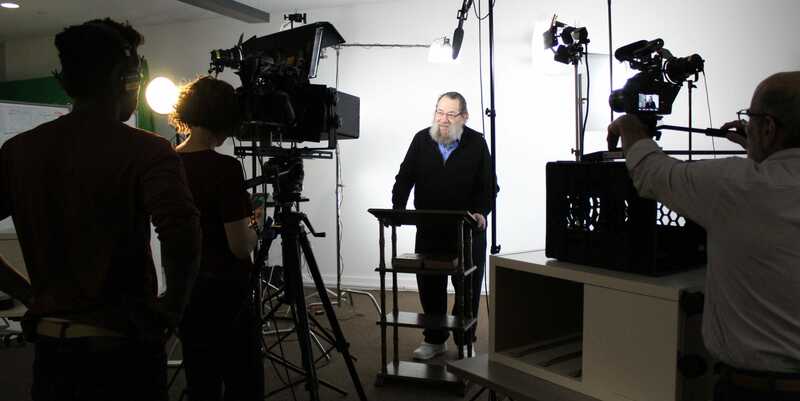 Learn about the music of the Jewish people throughout history or enroll in a course through our renowned Cantorial School. Explore contemporary issues and ideas and build connection and community through Eser or join a group of peers to learn about the importance of tikkun olam (repair the world), tzedek (justice), and tzedakah (charity) in Jewish tradition, and work with local advocacy organizations to make a difference through Open Circle Social Action. Journey through Jewish texts and ideas from biblical times to the present through Me’ah Classic; deep dive into a particular historic period, theme, or personality through Me’ah Select; or gain insights into Jewish texts, thought, and history along with adult learners from around the world via Me’ah Online. Navigate the challenges of parenting kids, from toddlers to teens, guided by Jewish wisdom, through Parenting Through a Jewish Lens, Parenting Your ‘Tween Through a Jewish Lens, and Parenting Your Teen Through a Jewish Lens. Through Eser, connect with other young adults in their 20s and 30s, discuss issues that matter to you and your peers, and expand your community through through-provoking conversations. Sign up for an Eser’s Classic 10-session series, and/or attend one of our special events, join one of our Eser Select conversation and learning groups. In Open Circle Jewish Learning, ask big questions, explore relevant topics, and find meaning in Jewish sources of wisdom. 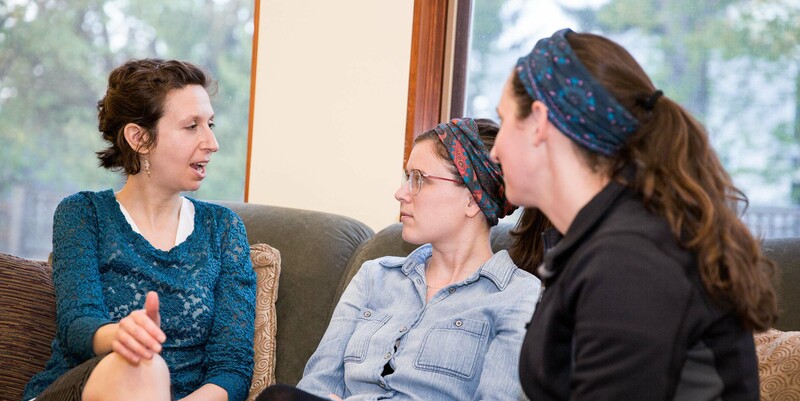 Learn and make a difference through a social justice community group, participate in a conversation group focused on mysticism and mindfulness; or create your own salon on any topic ranging from Israel to the Torah. Build relationships across lines of difference and develop the knowledge, skills and experience to serve in a religiously-diverse society through the Miller Center. 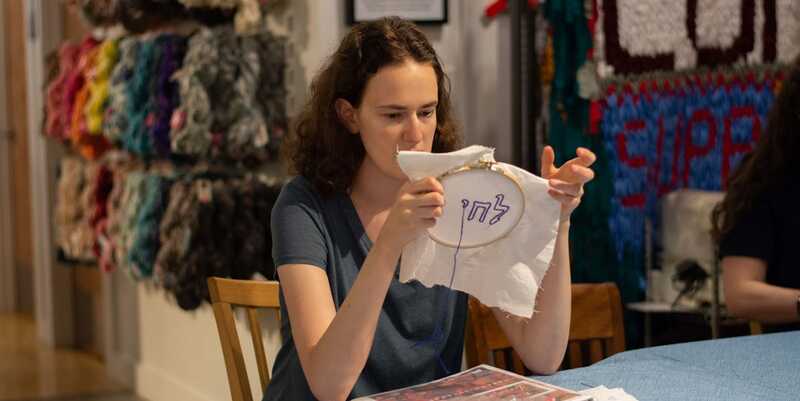 Learn conversational Hebrew through the lens of Israeli culture through our Ulpan program; prepare for graduate-level text study through our Graduate Hebrew program; or build Modern Hebrew vocabulary and grammar skills through our Modern Hebrew Online classes. Delve into the role that music has played in Jewish life from ancient to modern times; learn about the music of the Jewish people throughout the Diaspora; compare prayer in different religions and parts of the world; and study Jewish music and prayer alongside cantorial students in our non-credit community cantorial classes. 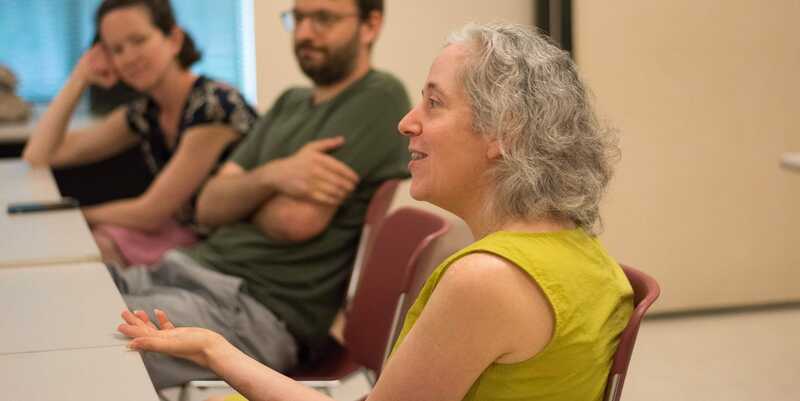 Join a dynamic online community of future educators who are preparing to lead, transform and elevate Jewish learning in our pluralistic world in non-credit community Jewish education courses. Study important texts and theory; Jewish history, culture and spirituality, and social justice and the Jewish life cycle; amongst other topics, alongside future rabbis in non-credit courses through the Hebrew College Rabbinical School. 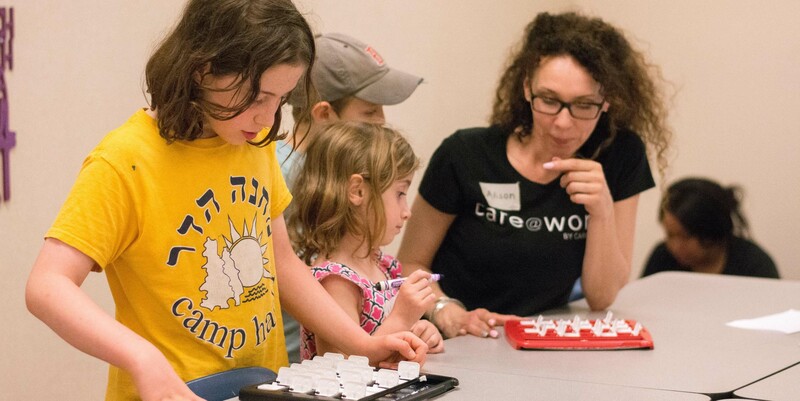 The School of Jewish Music offers eight weeks of pluralistic programming in leading services and teaching music during the summer. 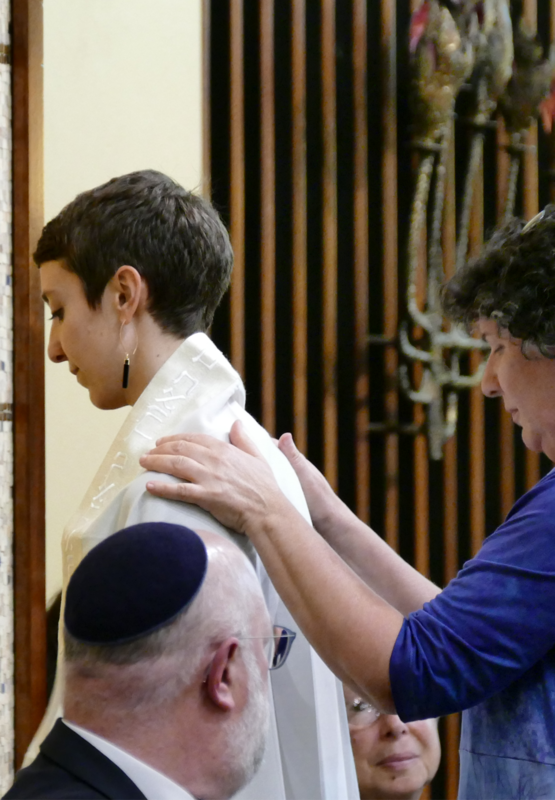 The PLSI is open to clergy as well as students, lay leaders, teachers, and musicians who are interested in Jewish liturgical music and enhancing their musical skills. 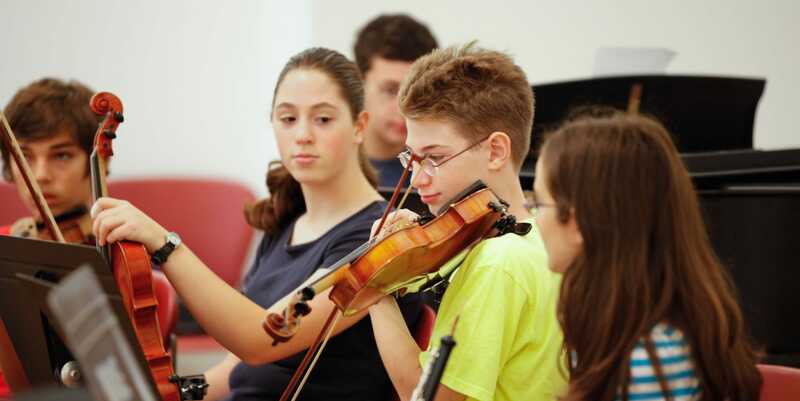 Prozdor is a vibrant learning community for Jewish teens from 8th grade through 12th grade. Through our diverse program, we help students develop strong Jewish identities and prepares them to be future leaders of American Jewry. Makor is the middle school of Hebrew College. 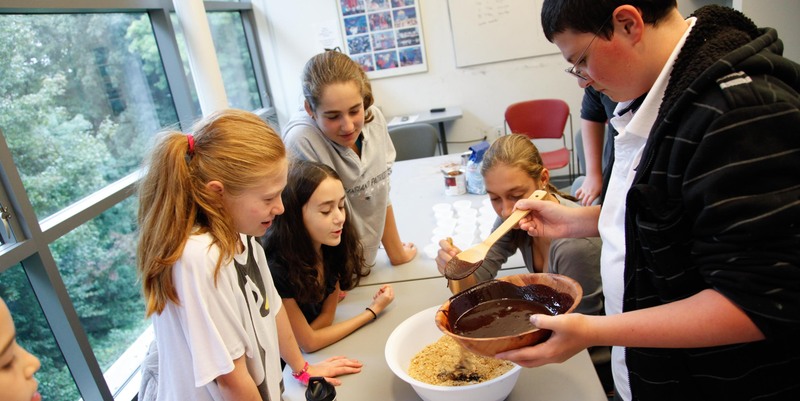 We collaborate with Boston-area synagogues to build innovative and tailored education programs for 6th and 7th graders, and strive to be a learning community of wisdom, spirit and spirituality, and friendship for emerging teens. Build leadership and develop communication skills through the Jewish Teen Foundation of Greater Boston (JTFGB), a year-long program that teaches high schoolers the ” ins” and “outs” of philanthropy through a Jewish lens. Embark on a gap-year experience in Israel for high school students through Kivunim. Study on our campus, which is just a short drive from Boston, a short walk from public transportation, and easily accessible by major transportation routes. 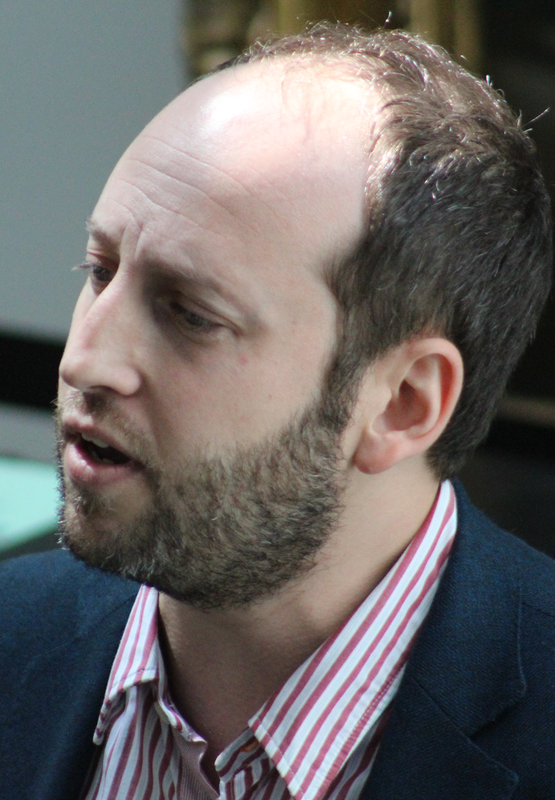 Open Circle Jewish Learning: Approachable discussions on inspiring topics. Prozdor: A vibrant community for high schoolers. Makor: A vibrant learning community for middle schoolers. Jewish Teen Foundation of Greater Boston (JTFGB): Building philanthropic leaders of tomorrow. Take advantage of our programs within your own synagogues. 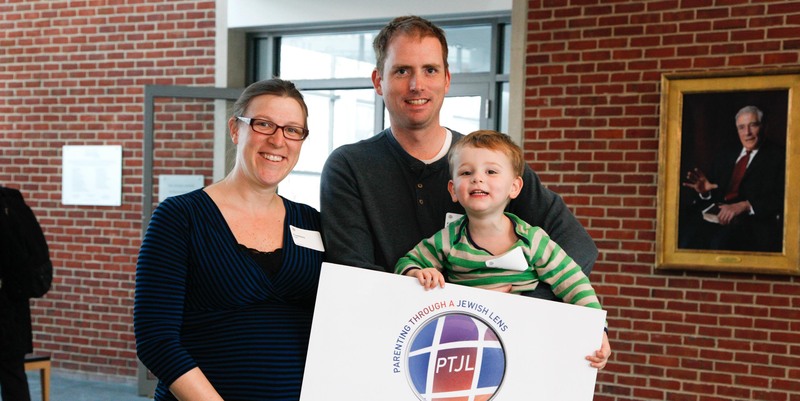 Many of our CJP-sponsored programs — Me’ah Classic, Me’ah Select, Open Circle Jewish Learning, and Parenting Through a Jewish Lens — are offered in synagogues of all movements throughout the Greater Boston area. And if they’re not offered in your congregation, we’re happy to start a group there. 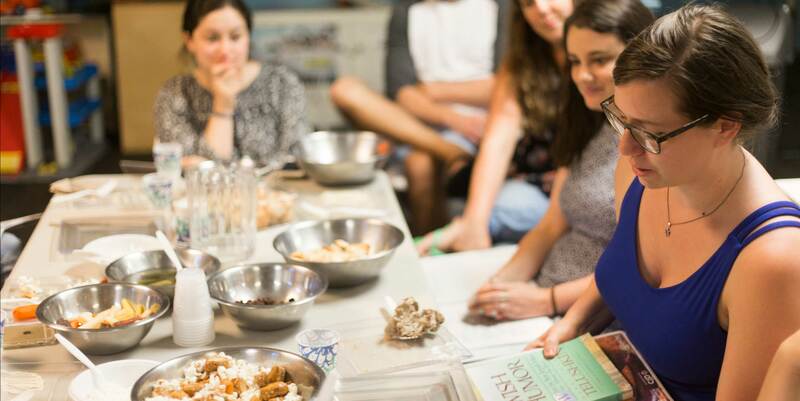 Meet in a coffee shop, community center, or living room in your community through our CJP-sponsored programs Open Circle Jewish Learning and Eser Young Adult Learning. And if we don’t offer a group in your neighborhood, enlist a few friends and we can find an instructor for you. Experience Israel through Hebrew College. Kivunim: A gap-year experience in Israel for high schoolers. Journey through Jewish history, dig into Jewish education theory and practice, or master the Hebrew Language at your own pace. Our online classes are convenient and flexible. Connect on your tablet, computer or phone from wherever you are; view lectures by accomplished scholars; join online discussions with adult learners around the world; or delve into the course materials on your own; and extend your learning with optional readings. Our faculty are dynamic, engaged and skilled educators who bring an expertise in and passion for whatever they teach. 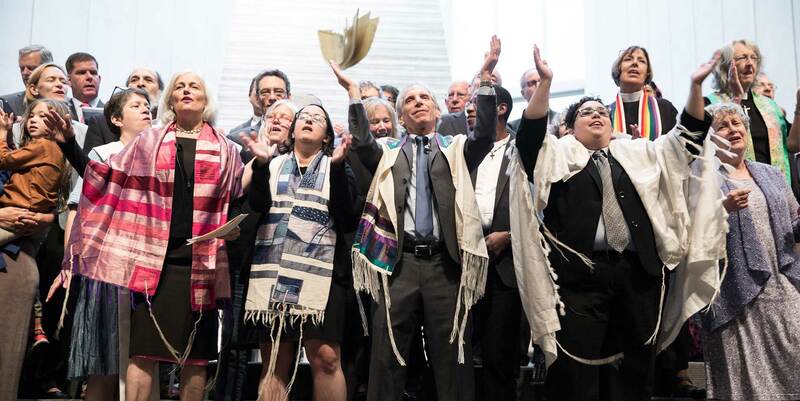 They include rabbis and cantors, rabbinical and cantorial students, Jewish educators, musicians, and experts in an array of fields. The instructors in Me’ah — our college-level program — are all accomplished scholars with advanced degrees. They are also skilled educators of adults, able to adapt their teaching approaches to a range of learning styles. Rabbi Jay R. Berkovitz, Ph.D. Rabbi Shaye J.D. Cohen, Ph.D.